The Moroccan port city of Tangier is only 20 miles from Spain, across the Straits of Gibraltar, and is an exotic mixture of North African culture and traditions combined with strong Spanish, French and Portuguese influences. A fascinating city to visit, Tangier appeals to those looking for something a little different. The city's gained an edgy reputation, thanks mainly to foreign writers and artists who lived here in the 1950s, drawn by a bohemian lifestyle. Visitors come now as well for the beaches, beautiful scenery, the teeming markets and the street café culture. Café life is part of the Tangier experience, and there are plenty of places to drink sweet mint tea and watch the world go by. In Tangier some cafés have legendary status, such as the Café Hafa and the Café Baba, because of all the famous musicians and writers who have hung out there in the past. There's plenty to see and do in the city, such as strolling around the Kasbah, shopping for rugs or brasswork and leather goods - feel free to haggle to get a better price! Tangier also has many excellent restaurants, and many exciting streetfood stalls and vendors. 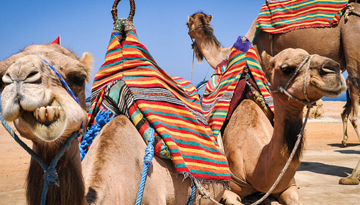 British airways offers a cheap flight tickets to Tangier from Heathrow at just £88 return. 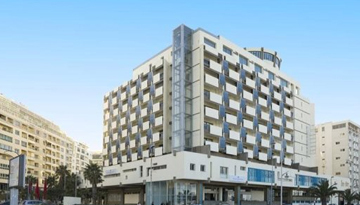 Hotel Atlas Almohades Tangier offers a 4-star superior double room just under £47. 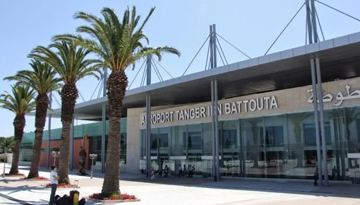 Fly from London - Tangier & Stay for 7 nights with 4 star accommodation. Room Only.